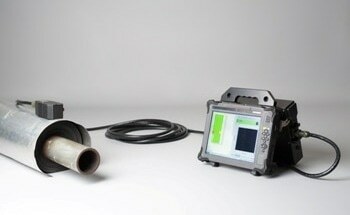 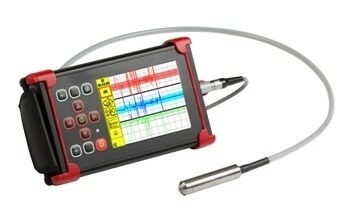 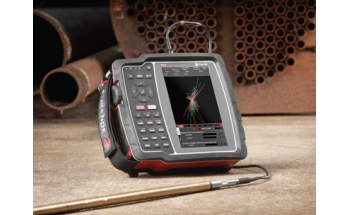 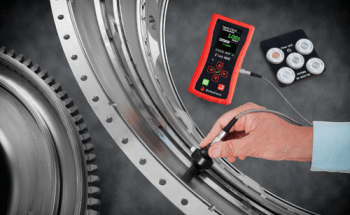 Ether NDE’s WeldCheck Eddy Current (ECT) flaw detector has been designed for users within a wide range of industries. 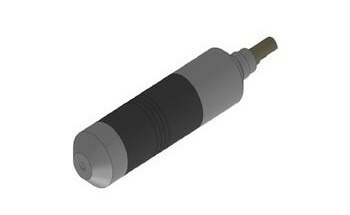 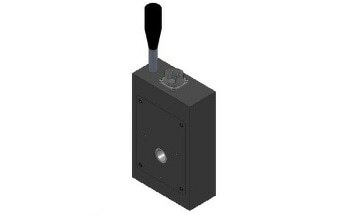 The instrument is compact, lightweight and enclosed in a rugged aluminum alloy outer case. 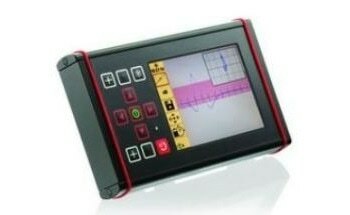 The ECT flaw detector includes a “Flip” function that allows it to work identically in right-handed or left-handed mode. 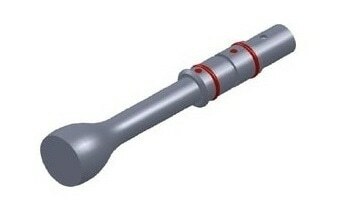 The internal design of the instrument is optimized to resist tropical, moist or salt-laden atmospheres. 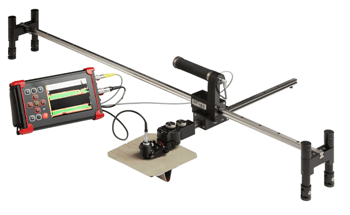 The WeldCheck also includes a simple, single-level menu system; menu items can be added to the “Quick Menu” sidebar. 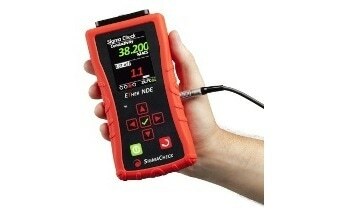 This function allows instant adjustments during the inspection process. 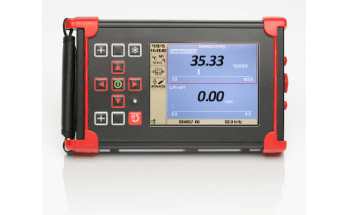 Other features include an SD Card slot, VGA output for classroom and head-up display use, and a USB connection for fast data transfer. 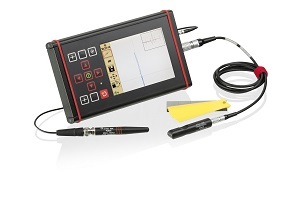 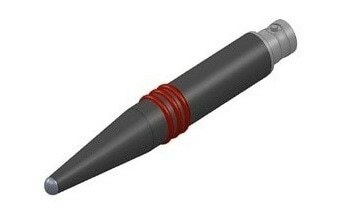 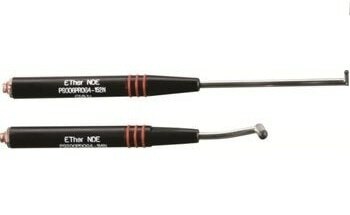 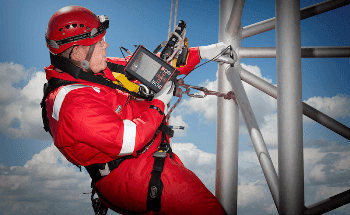 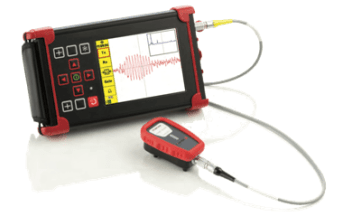 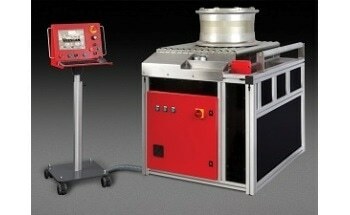 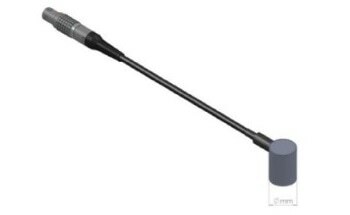 The instrument provides more than 8.5 hours battery life with a 100kHz Weld Probe. 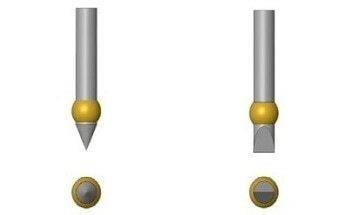 Its internal memory can store more than 500 saved readings.